News and events from and around the Mad River Valley including Sugarbush and Mad River Glen. For all our future guests, a little primer on what makes the Valley different. 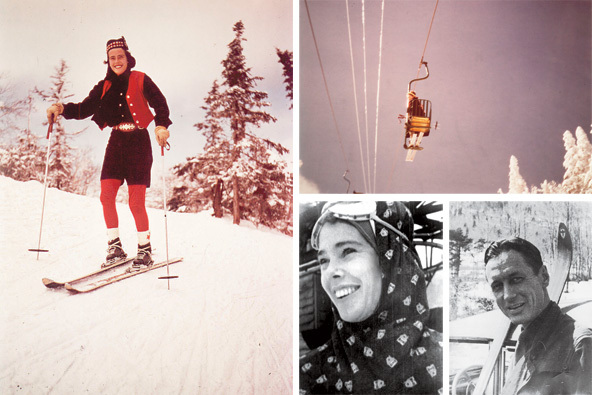 Photographs courtesy of Mad River Glen Slope stars Clockwise from top left: A Mad River Glen skier circa 1950; the resort’s single-chair lift; the founder Roland Palmedo; the onetime owner Betsy Pratt. It can feel as though you’ve somehow gone back in time when you’re driving up the looping curves of Route 17 in northern Vermont and take one last turn, toward the spine of the Green Mountains, to suddenly find what appears to be the movie set of a small 1960s ski resort brought painstakingly to life. There is a cluster of quaint yellow and blue rustic clapboard buildings. A rutted dirt parking lot. A single-chair lift rising into the clouds over narrow trails that seem to pitch and hurtle down the mountain. It’s the kind of place that could only be in New England. Mad River Glen was founded on a particular sort of flinty East Coast old-money bedrock that is still apparent to the eye if you know how to read the code. Just look around the lodge, called the Basebox, at lunchtime and count the L. L. Bean Norwegian sweaters and the characters who look like they could have stepped out of the pages of “The Official Preppy Handbook” (which calls that sweater “the nearest thing to a Prep membership card,” and which also name-checks Mad River Glen). In fact, the place owes its current existence to an actual marriage of society and sport. Because as it happened, it was a dance card that was signed at an exclusive Montclair Ski Club party in 1954 that would determine the eventual fate, and the legacy, of the mountain. It all started in the 1930s with Roland Palmedo, a New York investment banker and a dedicated skier. He was one of the original investors at Stowe, helped start the National Ski Patrol and was the founder of the Amateur Ski Club of New York, which held parties at J. P. Morgan’s house on Long Island. 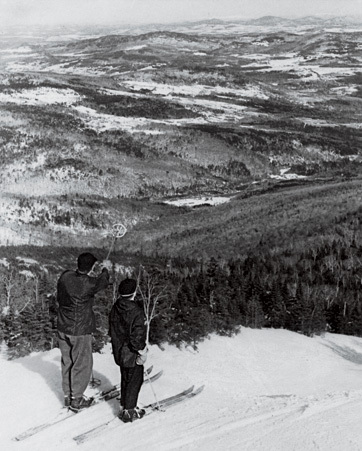 Palmedo and some fellow enthusiasts began scouting terrain for a new Vermont ski area that they imagined would be a mecca for the sport itself and not its trappings, where they would hand-cut trails that followed the natural contours of the mountain, always seeking the fastest, most direct way downhill — the “fall line” — and where the point would be to commune with the mountain itself. They homed in on General Stark Mountain, and Mad River Glen opened in 1948. Palmedo’s finance friends began to meet on Manhattan corners with their wooden skis on Fridays for the drive up. One of them was Truxton Pratt, a banker who joined the volunteer ski patrol. 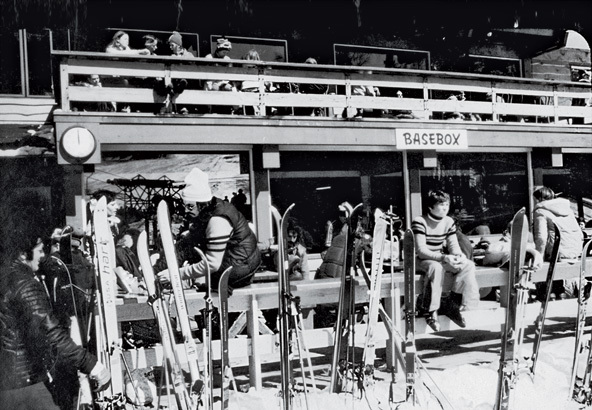 Ski in, ski out At the Basebox lodge, in 1970s. Decorated with old trail maps and wooden skis, it has always been the center of activity at the resort. In the winter of 1953, a Vassar College graduate named Betsy Stratton from Greenwich, Conn., was invited up to Mad River Glen, where she met Pratt. “I had this blind date at Christmas,” she remembers. “We walked to a party, and halfway there I decided I had to marry him. He was the best skier on the hill by far. It took me till April. He was in Montclair Ski Club — he’d been president of that club — and they had a dance. He signed my dance card and danced with me, and we were engaged a week later.” Truxton Pratt and a group of friends bought Mad River Glen in 1972, and when he died three years later, Betsy Pratt, who was raising their children in Greenwich, bought a controlling interest in Mad River Glen, determined to run it the way their friend Roland Palmedo had envisioned. That meant decisions that could seem ornery — against most snow making and grooming, against snowboards and, really, against almost anything new at all — but had everything to do with preserving the look and feel and spirit of Mad River Glen. And, in a funny way, the same things have played out at the ramshackle Inn at Mad River Barn just down Route 17 from the mountain, which Pratt runs and where, at a peppery and eccentric 83, she still holds court in a cashmere sweater and mended khakis. “When you’re out west,” says Rick Causey, who works at the mountain’s ski shop and at the Barn, “you can spot a skier from back east. And sometimes you say, ‘They have to be from Mad River, the way they’re making turns!’ ” Rick, the long-haired cook, and his brother, Matt, the genial bartender in the pub room, are known as the “Barn boys.” (Rick plans to use the name for his custom-ski business.) With their ski-bum dude drawls and Rick’s menu of cheeseburger pizza and Brobdingnagian cookies, they probably give the place a bit more of a Matt and Rick’s Excellent Adventure vibe than it had in the past. But hardly anything else has changed, and the Barn, like the mountain, feels like something of a secret. King of the mountain Looking over the Mad River Valley in the 1960s. “How did you find this place?” Elliot Wiener asked across the breakfast table on my family’s first morning a few years ago. He and his friend Bennett Fradkin have been coming up from Hastings-on-Hudson with their families for years. “I can be really very fussy about staying in places,” says Fradkin, an architect. 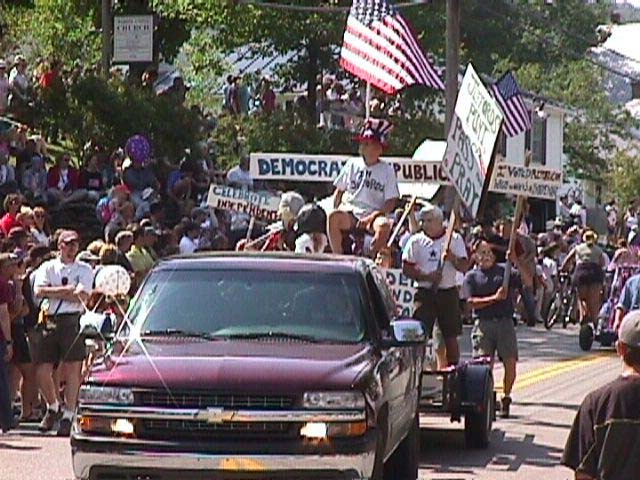 “If it weren’t for the people and the history and the experience. . . . I mean, I’ve asked for a new mattress a couple of times, the bed was missing a leg, it was held up on a book. But it couldn’t have been more fun and enriching to have spent all this time there.” Somehow, as with the mountain, the very things that could be drawbacks or deprivations are instead celebrated by the regulars and turned into lore. A slice of Vermont? more like two big mountains of it, piled high with a generous blend of manmade and natural snow and bucolic views. Hold the crowds and attitude— they don’t fly in this laid-back corner of postcard-perfect Vermont. One reader likes the “variety of terrain, sheer cruising and air of welcoming friendliness.” It all adds up to a no. 5 ranking for Character, and the ’Bush earns similarly strong rankings in Terrain Variety (5), Challenge (6), Service and On-Mountain Food (8) and Snow (9). Accessible glades abound, from the bustling Lincoln Peak (family central) to the less-traveled Mount Ellen and throughout the Slidebrook Wilderness in between. New barnchic slopeside lodging and facilities bring amenities up to par, and no major ski area offers bigger helpings of quintessential Vermont beauty. “Vermont skiing at its best.” —E.T.M. Après Spot » Unwind with live music, oh-so-frosty local beers and Vermont-hearty, better-than-bar food at the Castlerock Pub. 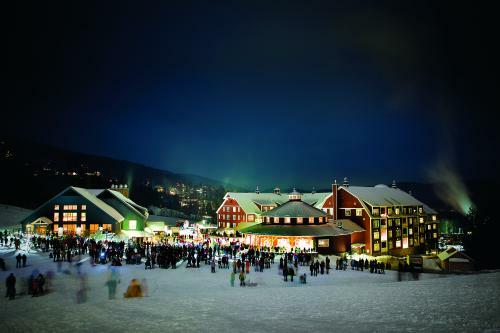 Don’t Miss » An evening snowcat ride and candlelit dinner at Allyn’s Lodge, followed by moonlight skiing. What’s New» An arsenal of ultra-low-energy snowguns doubles early-season snowmaking capacity. Got a novice friend? If he completes three lessons, he gets a season pass.